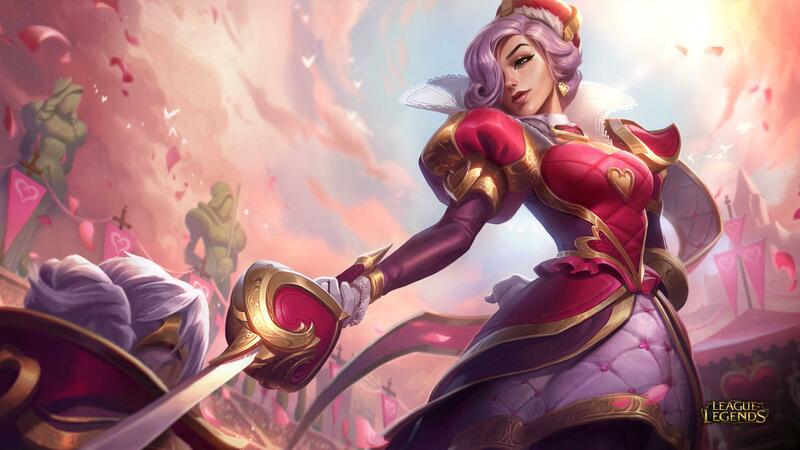 Official Patch 9.3 Notes Released! 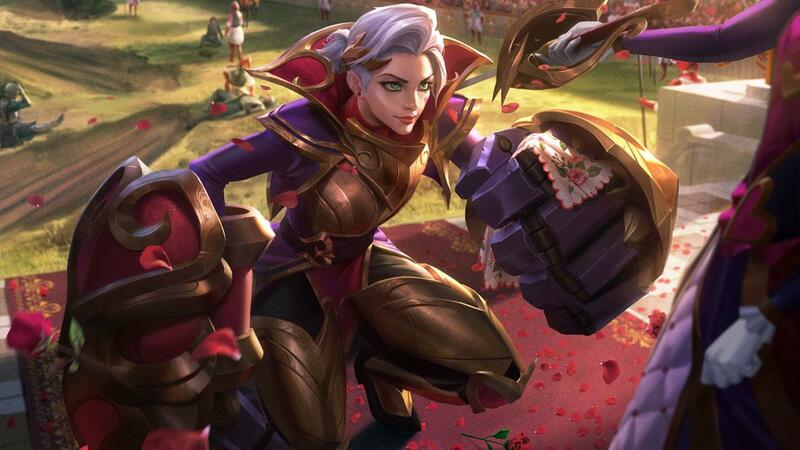 Nothin' but nerfs this time around when it comes directly to champions, but anyone who can make use of the new ADC item changes will certainly benefit this patch. Check out the full scope of changes below! Welcome to 9.3, the patch that's like milk because we're alleviating a lot of spice. On the champion front, we're wrapping up mechanics cleanup on Aatrox, Akali, and Irelia to ensure they've got meaningful weaknesses opponents can capitalize on. Item-wise, we're taking a deep pass on marksman items to solve the build satisfaction issues marksmen have been frustrated by since midseason. We're also changing farm bounties so players who farm their way back from a deficit aren't treated the same as champs who ran away with huge CS leads to begin with. Grab a glass (of milk, remember?) and read on. Health regen increased. Aatrox no longer heals off damage to non-champions. E no longer stores charges but cools down faster than it previously charged. Where last patch focused on dropping Aatrox's raw power, this patch focuses on exposing more weaknesses for the Darkin Blade. We're trading his ability to sustain off minions for higher baseline regen so he can't fall back as effectively on passive farming to recover from enemy aggression. Removing Umbral Dash's second charge makes Aatrox's skill check for landing all three Q hits steeper and means if enemies can bait his dash, he won't have a second one to use as an escape. Health regen increased. Q no longer heals. Turrets reveal Akali through Shroud. W cooldown increased late. First thing's first: We're removing Akali's ability to hide from turrets, which has been the most contentious part of her update. Many of you are asking why it took us half a year to get here, and the answer is that Akali depended on turret stealth to dive as effectively as other assassins. Ultimately, though, Akali has so many strengths (the ability to switch targets mid-fight without giving up kill pressure, and four forms of mobility, among others) that she doesn't need to also be a reliable turret diver. Given Akali finds better success in longer fights than other assassins, the short duration of turret dives make sense as a weakness, which they now are. The cooldown nerf is simpler: We're reducing Akali's late-game access to Shroud's defenses. With that out of the way... Five Point Strike nerf. Akali's become blind-pickable in higher echelons of play and Q's heal is a huge part of that: PvE sustain lets Akali survive matchups where she should be getting shoved out of lane if not outright dying to aggression. We're giving her more health regen to soften the blow, but are well aware it's a power-down overall. We'll be keeping a close eye on how Akali lands in both pro and regular play (did the W change reduce frustration? Did the Q change open up meaningful counters?) then decide on how to bring her back up. In the meantime, you can probably stop permabanning her. E no longer stuns minions or monsters. Camille's S-tier jungle status has gotten to the point where we can't easily balance her there without causing her top lane to suffer. We're making the call to prioritize Camille top going forward, though this likely makes Camille jungle a niche pick at best. Q base damage decreased late; ratio increased. W damage reduced late, cost increased late. Next verse, same as the first (well, we've actually been here twice in recent history). Cassiopeia is still too strong when fighting from extremely safe distances. Health growth and armor increased. Passive stack cap increased; stacks grant attack speed instead of damage; max stack bonus grants damage instead of attack speed. Q bonus minion damage increased. W reduces more physical damage but no longer reduces magic damage. This is a companion patch to 9.2 which removed extraneous mechanics from Irelia's kit and reduced her late-game waveclear. Our goal was to give her more pronounced weaknesses and make her less broadly powerful, which we're carrying forward to 9.3. Between the two patches, enemies should feel like they have better ways to deal with Irelia, from champ select to lane to teamfights. So what are we doing this patch? We're swapping Ionian Fervor's bonuses—now attack speed per stack, on-hit damage when fully stacked—to reduce the burstiness of her initiation combos and give enemies a wider window before her damage is fully online. (Bladesurge's minion damage is going up to offset the impact on her already-nerfed waveclear.) We're also changing Defiant Dance to a stronger anti-physical defense with no protection against magic damage to open a weakness to mages and AP assassins while strengthening her ability to counter AD threats. We've got per-item discussion in the sections below, but want to share some broader thoughts for those interested. 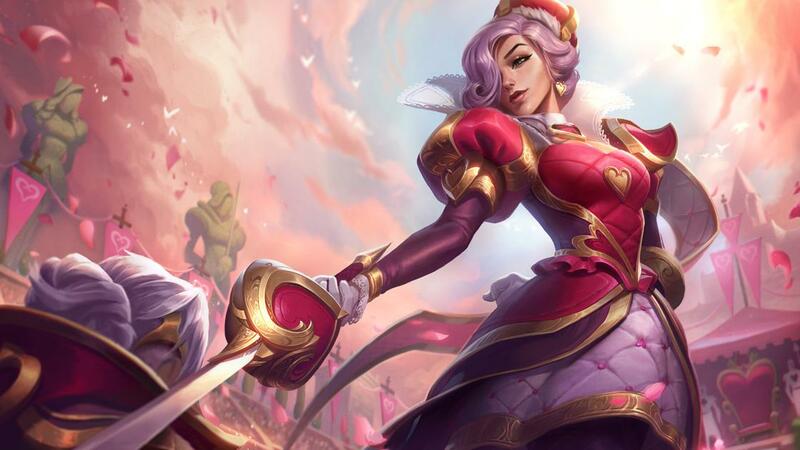 Last midseason, we made a bunch of marksman item changes to broaden the range of champions and playstyles that could succeed in bot lane beyond late-game crit spam. While non-marksman carries do occasionally show up in bot lane now, crit marksmen were left frustrated by their builds due to things like crit overcapping, anti-synergy between Infinity Edge and Last Whisper, and higher damage tradeoffs than ever for defensive items due to a weaker two-item spike. Once the initial learning curve shakes out, crit users shouldn't be left remarkably stronger or weaker than before, though they'll once again spike at two items (Infinity Edge + Zeal item, with Phantom Dancer updated to be an appealing defensive Zeal upgrade) instead of three so their games will feel better. From here, we'll be following up on significant power shifts on a champ-by-champ basis rather than continuing to adjust the item system (barring any items that end up way out of line). This is only first because it'd be weird to see it in Infinity Edge and Essence Reaver otherwise. Welcome back, crit cloak. Increases critical strike damage instead of partially converting crits to true damage. Grants critical strike chance instead of doubling crit chance from other sources. We're restoring Infinity Edge's synergy with itself to make it a more immediately gratifying pickup. Removing its true damage conversion means it no longer anti-synergizes with Last Whisper, while setting its crit damage bonus to 25% rather than the historic 50% lets us maintain our original goal of mitigating the late-game squishy melting marksmen used to achieve. Now grants critical strike chance. No longer grants mana or Essence Flare. While the Essence Flare version of Essence Reaver unlocked a few new marksman playstyles (mainly looking at you Lucian), it disenfranchised a bunch of others like Ashe and Xayah and ultimately ended up being a better fit for fighters like Renekton and Riven. Essence Reaver is going back to being a crit+CDR item. Grants attack damage, health, cooldown reduction, and Awakened Dragon (renamed Essence Flare). Now amplifies your Energized effects and causes them to slow the target. No longer grants a guaranteed critical strike after not basic attacking for a few seconds. Stormrazor was created to support marksman playstyles that focus more on kiting around a fight than attacking at full uptime, but ended up becoming the predominant first item in crit builds due to its combination of early impact and crit scaling. We're keeping the idea of "occasionally super-powerful attacks" but moving it from the crit system into the Energized system so it's not just a bumper on the front of Infinity Edge builds. REMOVEDSTORM'S EDGENo longer causes your next basic attack to critically strike for 140-200% (at 0-30% critical strike chance) and grant 20% bonus movement speed for 0.75 seconds after not basic attacking for a few seconds. Now grants a shield at low health but no longer decreases damage from the last champion you hit. Spectral Waltz now triggers on attack rather than proximity to an enemy champion. Existing defensive options for crit marksmen (Maw of Malmortius, Guardian Angel, Mercurial Scimitar) set users far enough behind on core damage builds that they can't contribute carry-level damage in fights even though they're living longer. We're making Phantom Dancer a defensive option that fits more smoothly into crit builds. Shiv needed a little extra buff to bring it up to the level of the other Zeal upgrades. Cost increased. Attack damage and armor penetration increased. Making Last Whisper more effective as a component item while building into Lord Dominik's Regards or Mortal Reminder. STORMRAZORStormrazor's no longer the must-rush marksman item. You'll mostly see it as a third or fourth pickup in other builds. This is a new section of the patch notes where we're gonna stick simple, straightforward changes—generally small handfuls of number tunings rather than mechanical adjustments or comprehensive balance passes. They still impact matchups and place in the meta, so this isn't a free pass to skip reading 'em! Q cost increased late. E damage decreased late. Much of Lissandra's status as a dominant midlaner comes from her ability to push into the enemy turret quickly and at relatively low cost, letting her consistently roam with plenty of mana to fight with. A higher cost on Ice Shard and lower damage on Glacial Path mean she'll have to invest more time and resources in mid before she can pressure other lanes. Separate from the waveclear changes, Glacial Path's endpoint indicator is now always visible if you're close to it. This is mainly targeted at cases where Liss players could hide their endpoint inside terrain, but we're addressing the brush and line-of-sight cases as well. Q damage decreased. W cooldown increased early. Weakening Sion's early lane to make bad matchups more punshing for him. We took a light touch with last patch's mana regen nerf which asked Zyra to be a little more careful with her cooldowns. This patch swings harder by targeting her harass from plants which lets her keep opponents at bay even when she misses her abilities. Dying while behind in farm delays how quickly you accrue a minion and monster gold bounty after respawning. One of the unintended side effects of preseason's minion and monster gold bounties is that farming back up from an early deficit puts a target on your back. We're making that not happen anymore. FARMING SUBSIDIESIf you die with less minion and monster gold than the enemy team's average, you'll respawn with a buffer equal to the difference. You won't start accruing a minion and monster gold bounty until you've used up the buffer. WHAT?Say you die with 200 less minion and monster gold than the enemy team's average, then go back to lane and power farm 700 gold while the enemy team only averages 300 gold. Previously, you'd have a 100 gold bounty for having 400 more minion and monster gold than the enemy team's average. Now you won't have a bounty at all because your first 200 gold was erased by the buffer.